Banners as a symbol communicate to a wide number of people what words may not be able to express. These have been liberally used both outside as well as within the church premises. 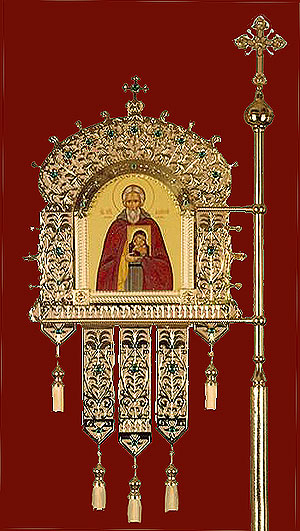 The presence of Liturgical Orthodox fabric church banners and flags demonstrates the celebration of certain special occasions and places of worship. 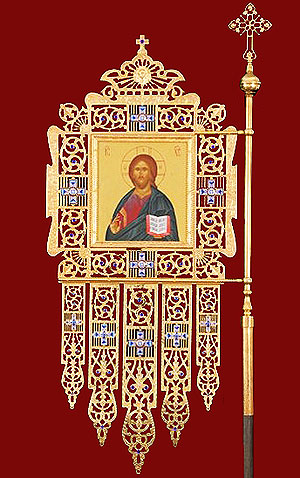 If you are looking for banners to be placed within your church or to be carried during a religious procession to uplift followers and to extoll the virtues of icons throughout the ancient times, look no further. 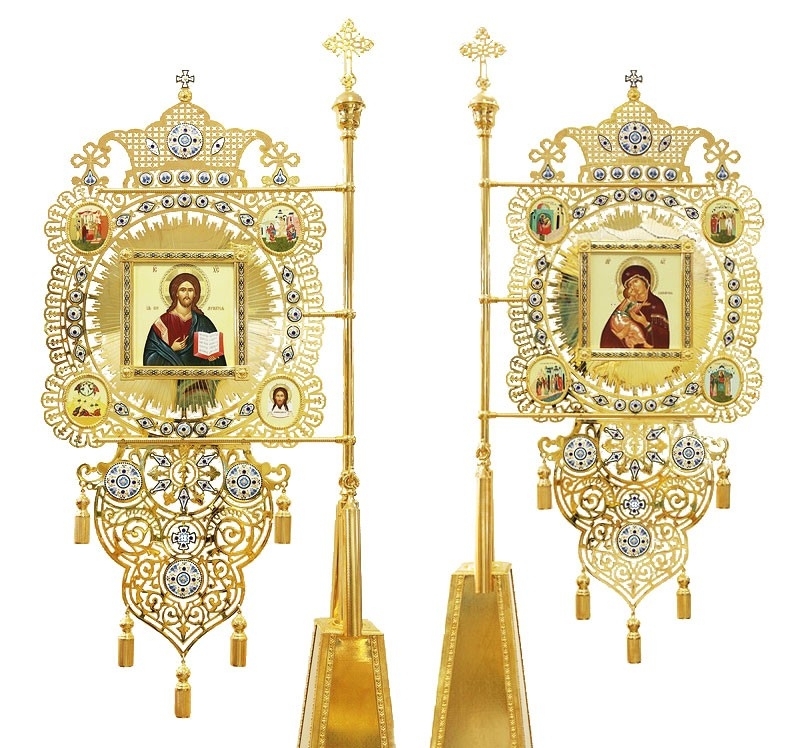 Istok offers a variety of such gonfalon in various patterns, drawing the focus of followers to the powerful images depicted on them. 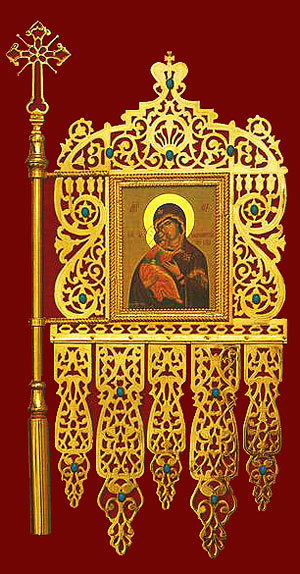 Church banners are a product of intricate workmanship. 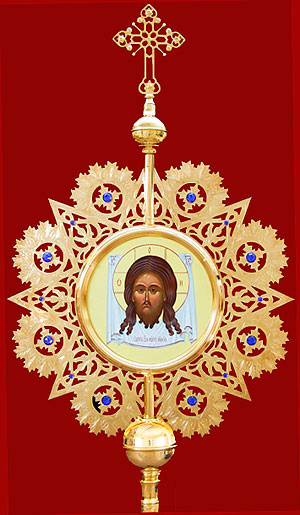 These products are finely woven and embroidered creations that can transform the interior and the exterior of a church. Many of these church banners recreate the ancient stories, carry special messages and even herald the arrival of Advent, Pascha or Christmas. Here at Istok we offer both simple and the beautifully embroidered versions of the banner making it easier to choose according to your needs and to the budget you have set aside towards it. 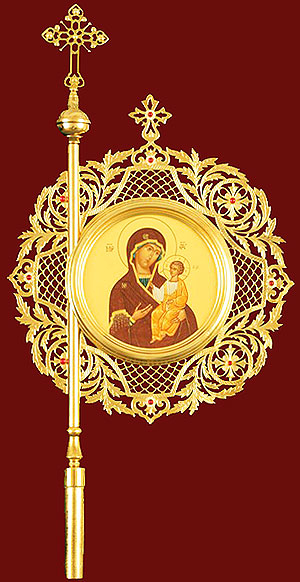 Istok supplies the banners for easter in full size as well as the smaller Orthodox Church banners for children. These can be easily managed by the youngest of handlers. For stationary uses, Istok offers holders which are fool-proof and capable enough to display any communication. Istok presents a wide variety of banner holders and stands for sale which buyers can purchase in bulk and stock up on, to be used every time the occasion calls for it. The holders are pretty easy to set up and will only take a few moments for the banner to be erected and stationed wherever the need for it arises.